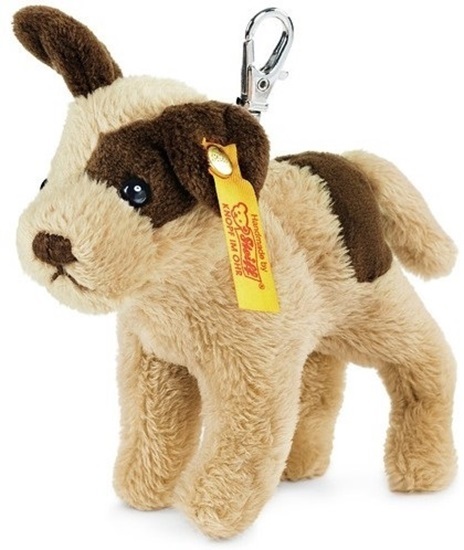 This is a soft plush beige and brown strolch dog keyring that is 4 inches tall. She is made from a brown and beige soft plush. He has black glass eyes and a brown hand stitched nose and mouth. The keyring is removable and the dog is machine washable. This strolch dog keyring comes with the yellow Steiff "Button in Ear".